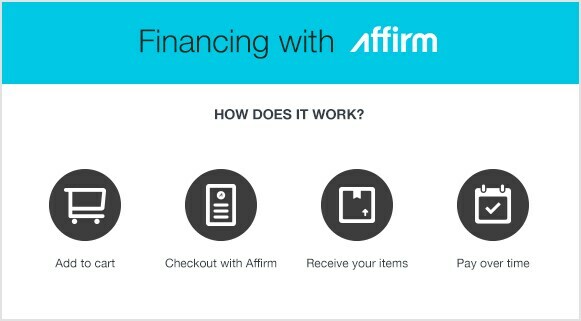 We have partnered with Affirm to give you a simple way to buy the snow blower you need now and pay for it later. Snow Blower Financing With Affirm - View Our Shop Snow Blowers Now and Pay Later With Affirm. Our snowblower how-to library can help you pick the perfect single-stage snowblower, two-stage snowblower or snow blower accessory.